Affiliate marketing industry is huge. 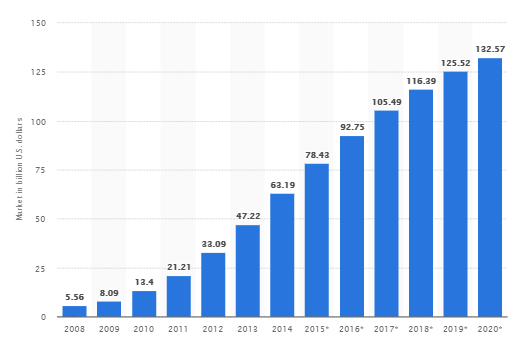 According to Forrester Consulting, affiliate marketing is estimated to grow at an annual rate of over 10% through 2020 and the affiliate marketing industry is expected to grow to $6.8 billion by 2021. More than 81% of brands use affiliate marketing programs including SaaS companies. This means there are a lot of opportunities for affiliate marketers to choose from. For instance, if you run a blog on marketing, you can choose a relevant marketing product and promote it. But instead of promoting traditional affiliate products and registering with affiliate networks and marketing the same affiliate products that 80% of affiliates are promoting, you should switch to SaaS affiliate programs. Because SaaS industry is growing rapidly. It is expected to reach $132 billion market by 2020. SaaS is the way to move forward. It is estimated that most of the companies will run purely on SaaS soon. But you don’t have to switch to SaaS affiliate programs just because it is a growing industry. 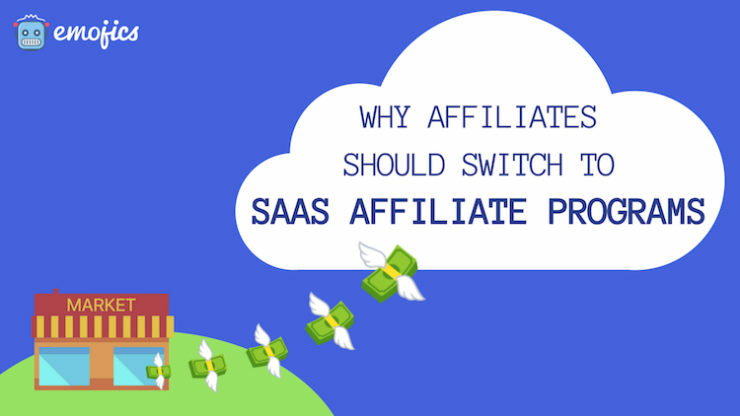 Here are a few reasons why you should promote SaaS affiliate products. SaaS products are easy-to-sell and if you have ever tried to sell an affiliate product, you know what I’m talking about. Selling affiliate products is challenging. If the product you’re promoting is HOT, your job gets easier. And SaaS products are extremely easy-to-sell for a few good reasons. SaaS products are easy-to-use and this is what end-users love. It can be accessed from any internet-enabled device. 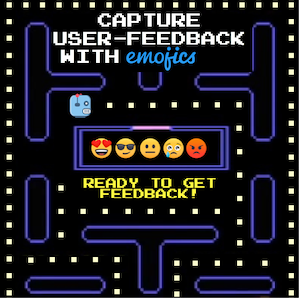 Users get instant gratification. They pay for a SaaS product and get it instantly. What’s better? Do I have to tell you that SaaS products are low-cost? Think of any SaaS product and you’ll notice that it is affordable. It is a growing industry and most of the SaaS products are innovative and unique. This means you promote a product that has no competition (more on this later in the article). If there is one thing that makes SaaS affiliate programs the best in the game, it is the recurring commission. 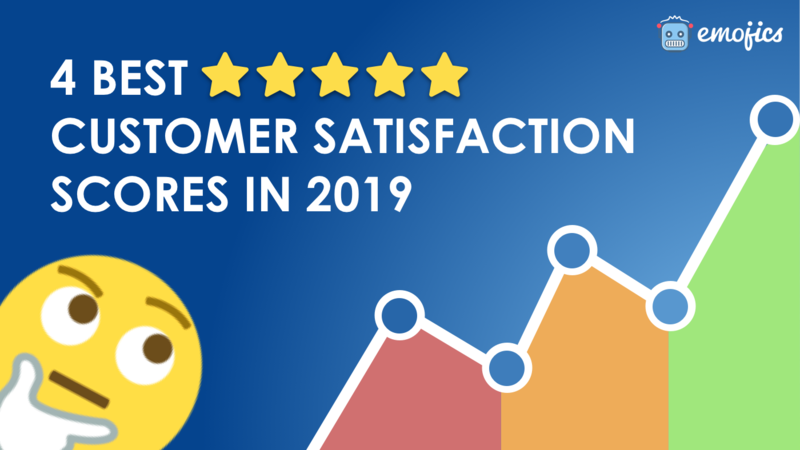 You don’t have to bring new customers every month to keep the cycle running just like you do on affiliate networks like Amazon Associates, ClickBank, Rakuten Marketing, and others. A single customer that you refer to a SaaS company will pay you for the lifetime. You get the commission every month as long as your customer stays with the company. Now not all SaaS affiliate programs have recurring commissions but mostly do. 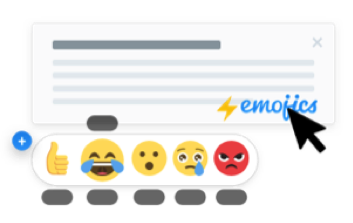 At Emojics, we have two types of affiliate programs and both pay affiliates recurring commission for the lifetime of the customer. The Partner Plan pays 30% commission for the duration of the account and affiliates don’t have to buy Emojics to get started. While Buddy Plan has 35% commission where affiliates have to be an Emojics customer. 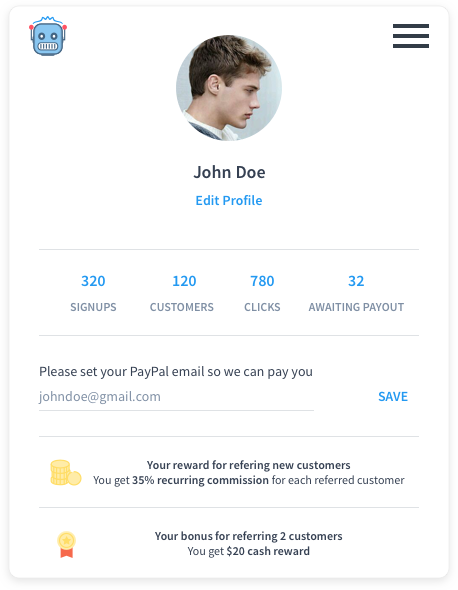 This allows our affiliates to generate passive income from our brand and they’re happy to stick with us because they don’t stop after referring a few customers. They continue sending new customers every month because our affiliates know that the more customers they send, the more they will earn. And this is what makes a SaaS affiliate program a great deal for any affiliate. SaaS brands are technology driven, so keeping their affiliate programs transparent isn’t a big deal for them. Proper cookie tracking, appropriate affiliate attribution, and easy-to-use affiliate links are some of the key benefits that you should expect from any SaaS affiliate program. You get a dashboard where you can track your affiliate performance, check signups, clicks, affiliate links, and more. Here is an affiliate dashboard screenshot from Emojics. SaaS companies won’t keep you in the dark. You’ll get access to analytics and everything you need to become a top affiliate. A SaaS product without a free trial is a rare thing. So you don’t have to try really hard to market a SaaS product. You can ask people to: Give it a try and check it themselves. You don’t have to deal with hype and refunds. Customers get a chance to see what they’re buying before they actually pay for it. Your job is to persuade people to opt for a free trial, the rest is handled by the onboarding process. You don’t have to follow up, train or guide, send reminders, cross-sell, down sell, and so on. A powerful SaaS onboarding process doesn’t just guide new customers but it persuades them to switch to a paid plan by sending friendly reminders, push notifications, emails, and more. So in a way, your job ends as soon as your referral signups for the free trial. You can sit back, relax, and send more referrals. SaaS products are scalable. This gives affiliates the advantage to promote a product that their referrals won’t leave or switch too often. SaaS products offer multiple plans that suit a wide range of customers. Think of email marketing services like GetResponse and Drip. They offer plans for small businesses and they offer customized plans for large enterprises as well. As the customers’ needs grow, SaaS companies have the potential to meet those needs. Because they don’t need to buy new equipment, office, machinery, warehouse, etc. to expand their services. All they need is an additional server or two. This is one reason why businesses are switching to SaaS because it gets easier to manage, expand, and grow your business when you’re using the cloud. SaaS businesses are scalable. And this makes them a suitable choice for affiliate marketers. A customer today will most likely be a customer 5 years down the road. Imagine your affiliate business’s earning potential when your referred customers will switch to big plans and will stay with the company for a few good years. Not all but most of the SaaS products are innovative. Innovation has nothing to do with SaaS. The thing is: All the new businesses and startups use SaaS as their business model in order to get benefits such as cost-effectiveness, speed, security, flexibility, integration, and growth. So new products and startups use SaaS business model and this makes SaaS products innovative and the hub of all the new products. You get to promote innovative products as a SaaS affiliate instead of promoting traditional digital and physical products. Imagine promoting a SaaS product that has no competition, it offers a free trial to its users, and the product is highly innovative. You don’t need marketing skills to promote something like this, do you? Ready to sign up for a SaaS affiliate program? Choose a niche, find SaaS products in that niche that have solid affiliate programs, screen SaaS companies, pick the best ones, and start promoting them. If you already have a blog or a list, you can get started by finding suitable SaaS products in your niche. I know switching to SaaS affiliate programs is a big decision. You should do your homework. If you eat and breathe affiliate marketing, you should switch to SaaS products because this is the only way to make your affiliate marketing business sustainable. 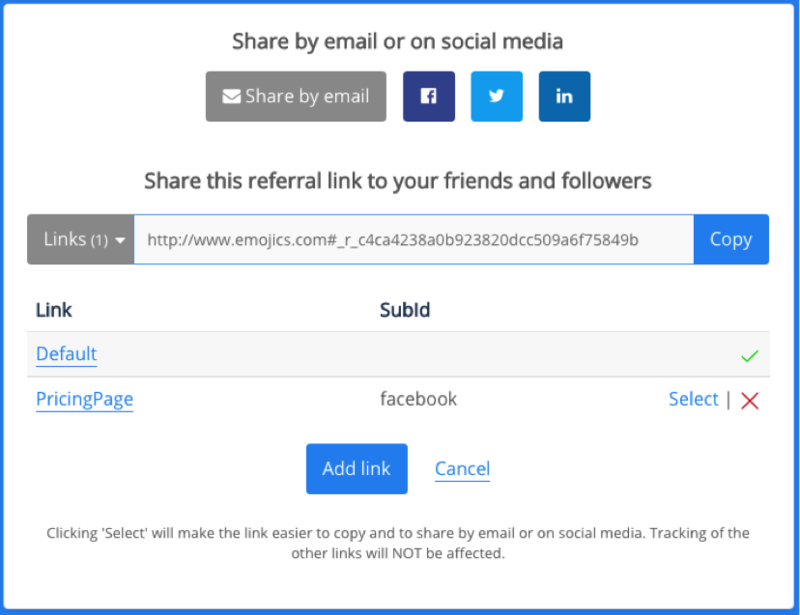 Don’t forget to check Emojics affiliate program here.